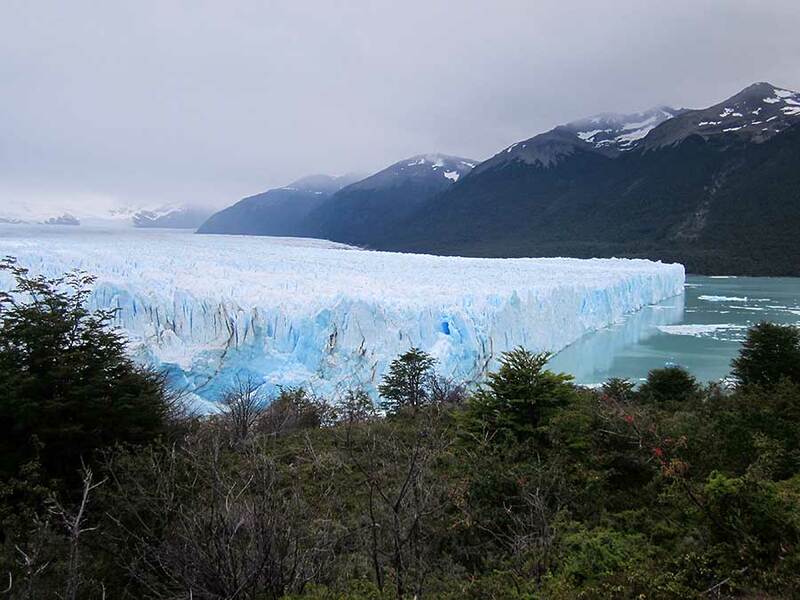 Mystic of Holyhead (successor to Lynn Rival) - Wrinkly backpacking in Argentina - 8 - we've found the ice, where's the gin? 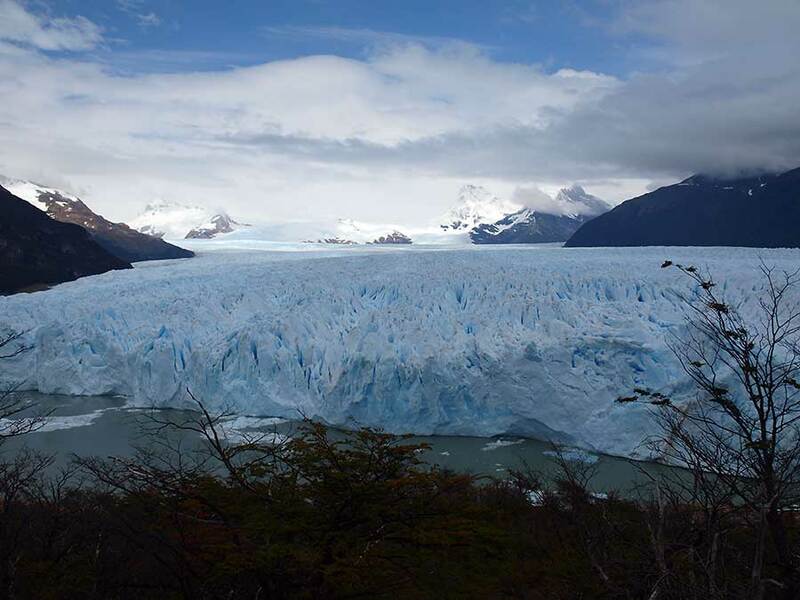 Title: Wrinkly backpacking in Argentina - 8 - we've found the ice, where's the gin? 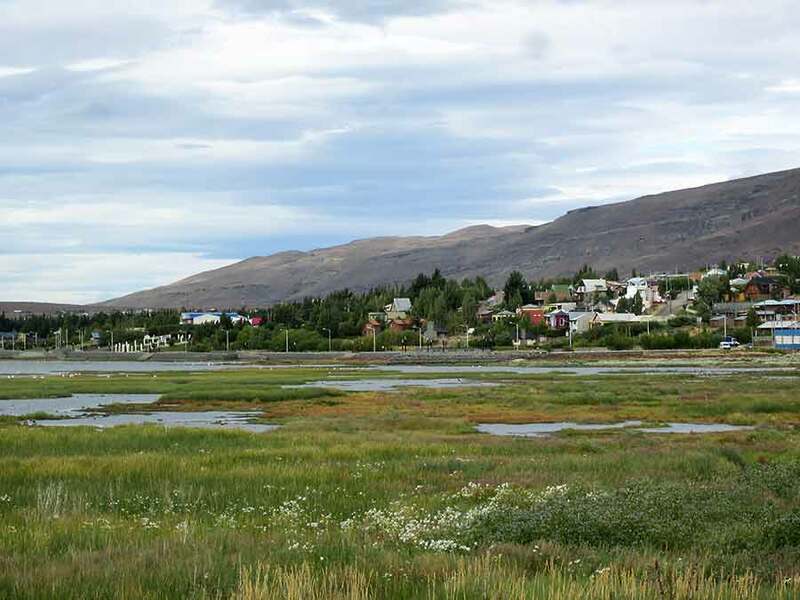 Our next destination was El Calafate, some 350 miles north of Ushuaia as the crow flies. By road it's a lot longer and involves crossing into Chile and back. Given the choice between a 17 hour bus journey and a one hour flight, we took the plane. The pleasantly wooded hills and snow-covered mountains were soon left behind and we landed in the Patagonian steppe, close to the shore of Lake Argentina, the biggest lake in the country. 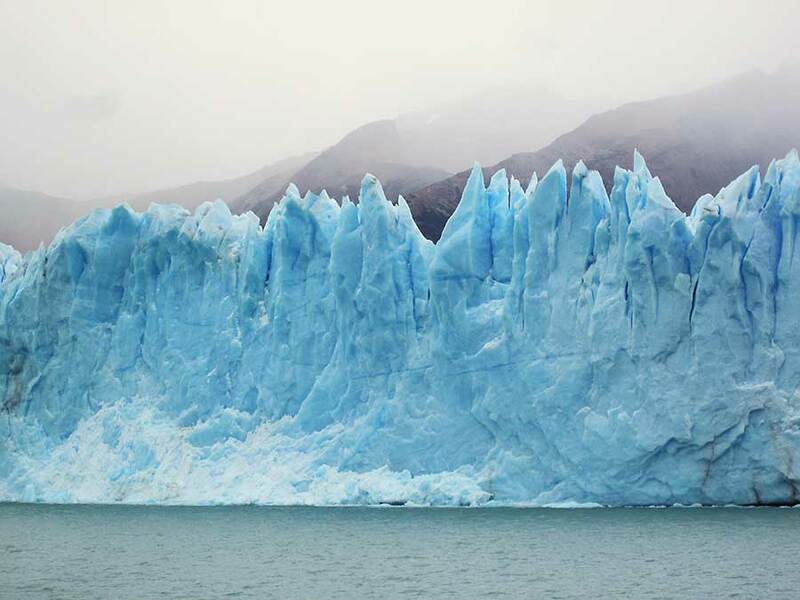 As we were driven from the airport to El Calafate, first impressions were not good. It's a sprawling town surrounded by desolate looking scrubland with just a few trees to brighten it up. The colour of the nearby lake - a milky turquoise - and wetlands with birdlife help just a little. However, we discovered that it has nice hotels and restaurants and is pleasant enough, though not as much fun as Ushuaia. 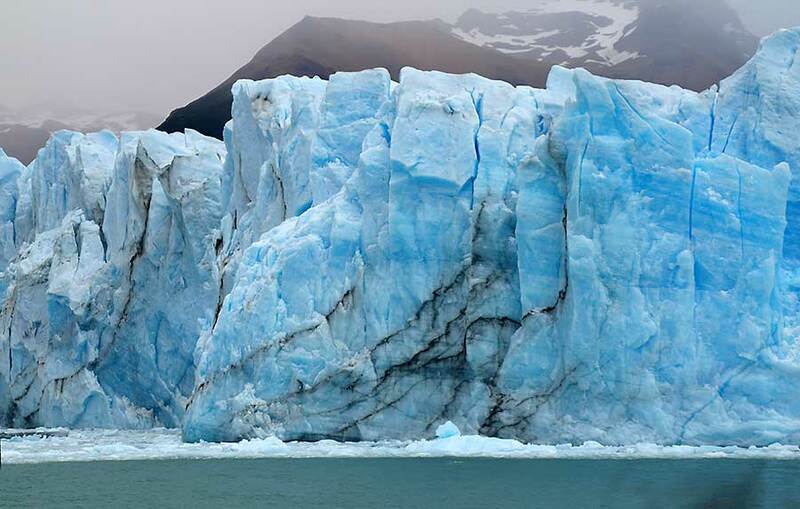 The main draw to El Calafate is the National Park of Glaciers, some 80 km to the east. 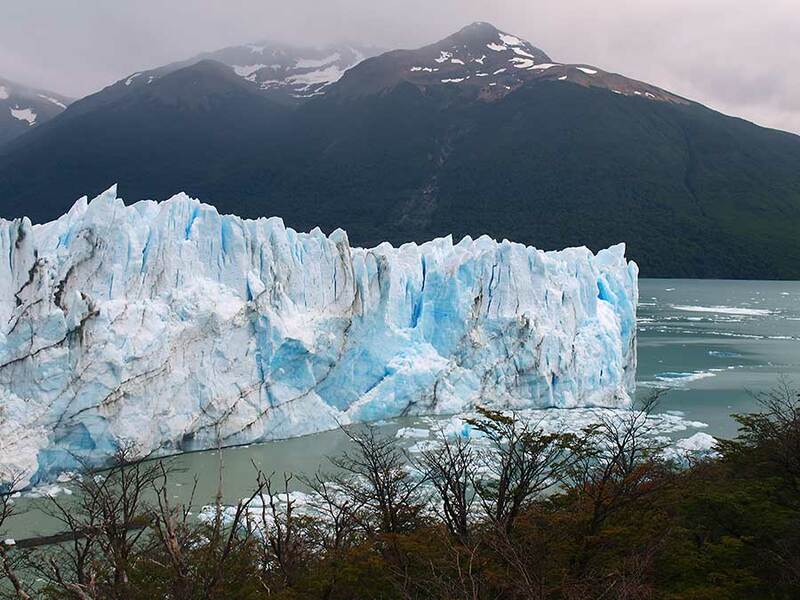 About half way there the barren steppe changes to green pastures and forested hills, and after driving on through said hills one is confronted by a most spectacular sight: the leading edge of the Perito Moreno glacier - a wall of ice that is over 60 metres high and 5 km wide. 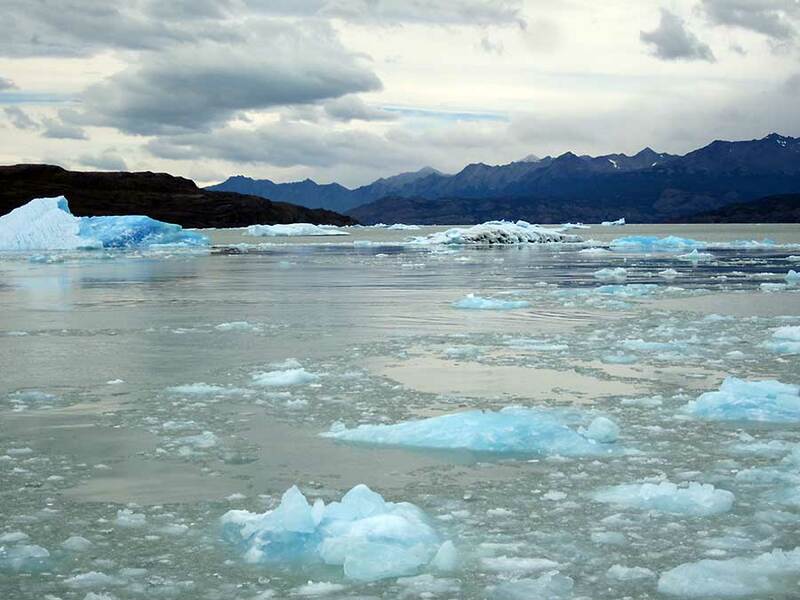 The glacier advances at a rate of 2 metres a day so it is possible to hear it creak and crack and watch lumps breaking off into the western end of Lake Argentina. A peninsula allows us to view and hear the crunch point - the black stained areas were recently at the bottom! 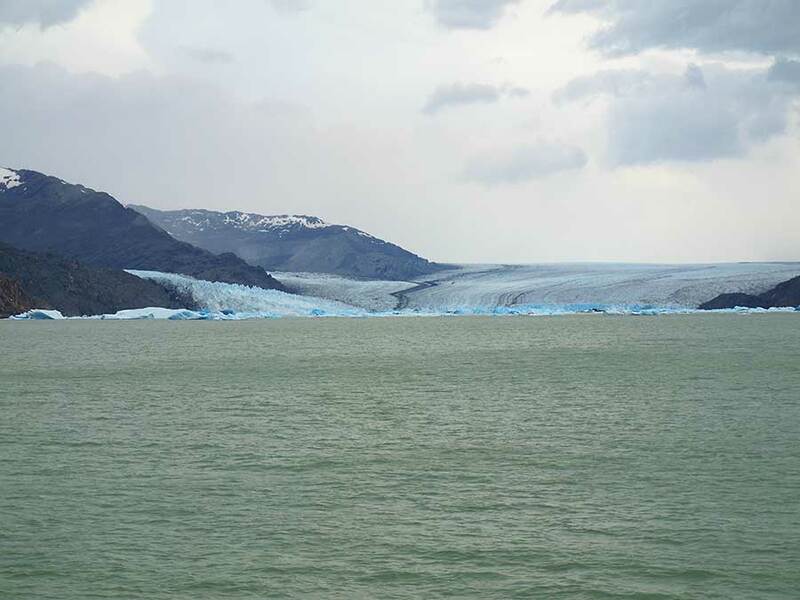 We were so impressed we decided to risk spending 7 hours on a tour boat to see more glaciers, most of which are inaccessible by land. After an early start we went to the north of the lake where the Upsala glacier is receding and has spawned a large number of icebergs. 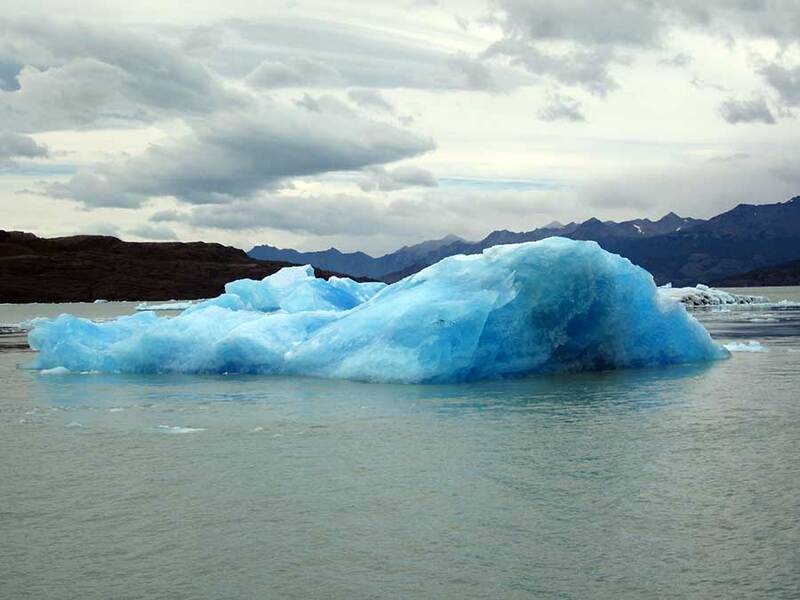 After a major breakaway four years ago it's still thought to be too dangerous to take the tourist boats (catamarans) very close to the glacier edge but cruising amongst the icebergs was fascinating, especially when one became unstable and turned turtle very close to us! A few moments after capsizing! Our tour then went close up to the Spegazzini glacier, with a leading edge over 100 metres high! Spegazzini glacier - shorter, steeper, higher. 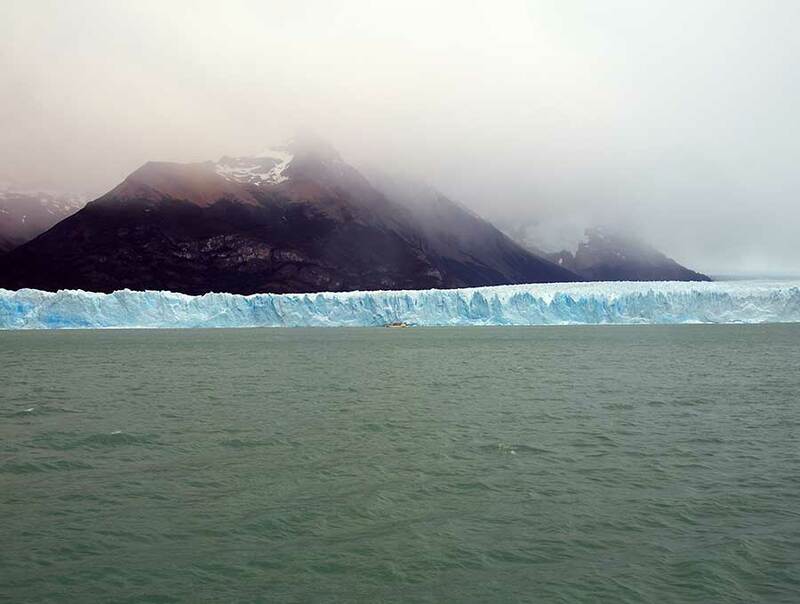 Finally we approached Petito Moreno, the 'flagship' glacier, again, this time by sea. Here we could move in for a close up - flat top . . .